For the past few months, while some of you thought he was just toiling away at being a new dad to twin girls, A.V. Club senior editor Sean O’Neal has also been putting together a new site in the Onion, Inc. family. 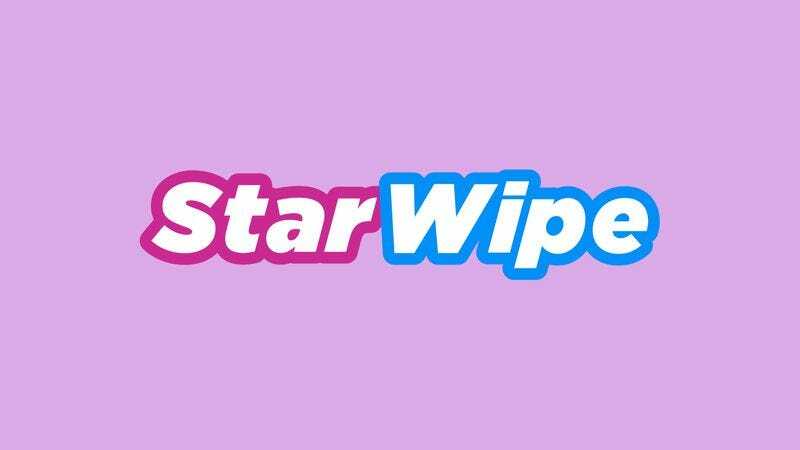 StarWipe will aim to cover the scurrilous world of celebrity gossip, but from slightly above the fray—making fun of it while also feeding from its trough. I’ll let the press release do some of the talking: “Whether scrutinizing a star’s clothes, their relationships, or their laughable attempts to maintain some reasonable expectation of privacy, StarWipe will dedicate itself to ensuring that celebrities rue the day they ever decided to pursue life as a public figure.” In other words, expect that signature withering Sean O’Neal prose, which he honed as the architect of The A.V. Club’s Newswire, but aimed more at people you’re already predisposed to dislike. StarWipe will be updated daily by Sean and a new pack of fearless reporters; you can also enjoy their wares on Facebook and Twitter.